Home » Living Clean » What is Vegetarianism? What does it mean to be vegetarian? There are several different types of diets that can be considered vegetarian, depending on their inclusion or exclusion of certain food items. Any of the various vegetarian eating patterns have the potential to offer great nutrition, if an individual prioritizes a well-planned and balanced diet. 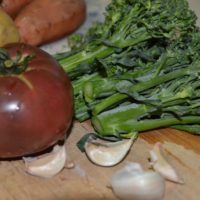 While most vegetarians have a high intake of fiber, vitamins, and minerals due to their reliance on fruits, vegetables, legumes, and whole grains, others may need to prioritize dietary intake of high quality protein, calcium, iron, and vitamin B12 to ensure their continued health and well-being. A person who eats a mostly vegetarian diet, but occasionally eats meat. A lacto-ovo vegetarian is a vegetarian whose diet includes dairy products and eggs, but no meat. A lacto vegetarian is a vegetarian whose diet includes dairy products, but no meat or eggs. An ovo-vegetarian is a vegetarian whose diet includes eggs, but no meat or dairy products. A pesco vegetarian is a vegetarian whose diet includes fish and other seafood, but no other meat. A vegan is a person who does not eat any food that comes from animals, fish, or insects (such as meat, dairy, eggs, honey, etc.) and who often also does not use animal products (such as leather). A vegetarian is a person who does not eat meat or seafood, but who may eat vegetables eggs and dairy products. Sample meal plan for a vegetarian teenager. Can a vegetarian diet be healthy for my child. A vegan sample day of meals for a teenager. Greek yogurt recipes for all ages. Loaded sweet potatoes, no bake Greek hummus pita. Mac and cheese with walnuts. Comment on What is Vegetarianism?